Planning a trip? Whether you’re going with the entire family, or jet setting on your own, there’s no going wrong with travel insurance. 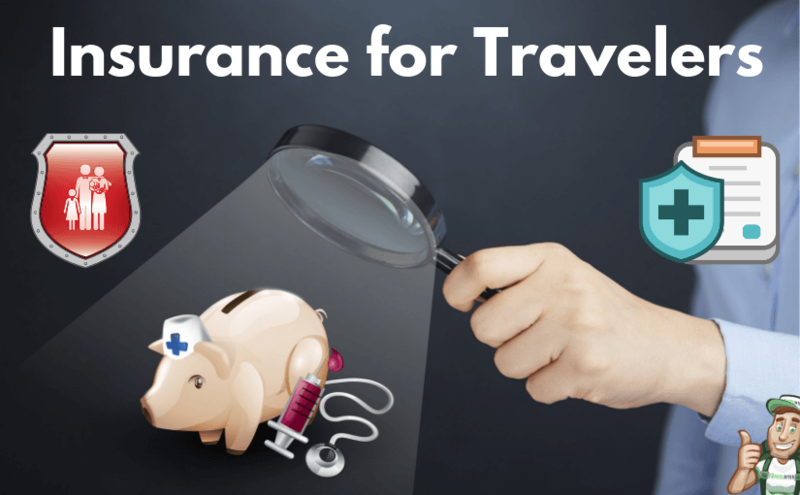 Covering emergency medical expenses, trip cancellation fees, lost baggage, and accidental injury or illness while abroad to name a few, travel insurance can give you peace of mind knowing that you’ll be able to pay for any unforeseen expenses during your trip. As a big business, the travel insurance market is satiated with providers all hoping to gain your trust and provide you their services. So how can you be sure you’ve found the right guys? We recommend checking out these trusted insurance providers. World Nomads is a travel insurance company based in. Established in 2002, this company covers individuals travelling to over 130 countries. Their range of coverage inclusions are extensive to say the least, allowing travelers to avail of insurance policies that are uniquely adapted to their needs. Some of their travel insurance coverage choices include stolen passports, lost, stolen, or delayed baggage, stolen credit cards, trip cancellation, medical repatriation, repatriation of remains, overseas medical emergencies, overseas dental needs, and travel accidents. These can be applied or removed from your policy depending on your needs. Unlike other travel insurance companies, World Nomads lets you purchase coverage even after you’ve left. Similarly, they also let you purchase additional coverage while you’re still away. In cases of changes in plans (which happens often during travel) this nifty feature can help you adjust your policy to fit your new itinerary. It’s worth mentioning that the company also covers over 150 extreme sports and other activities, making them the ideal provider if you plan to really explore while you’re away. On top of that, their website is also home to a variety of tools and resources for travelers to help make that journey through a foreign land easier and safer. Founded in 1890, Allianz has been around for decades, offering insurance and asset management to its wide client base. The company has its headquarters in Munich, Germany, and is ranked the third largest insurance provider across the globe based on revenue. For three years, this company has been crowned the best insurance provider by Travel Weekly’s Readers’ Choice Awards. Many of their plans cover the same instances that most other travel insurance providers do, including trip cancellations, overseas medical emergencies, medical repatriation, repatriation of remains, and lost baggage to name a few. Unlike other providers though, they also offer extensive coverage policies for individuals with pre-existing medical conditions which definitely gives them an edge. 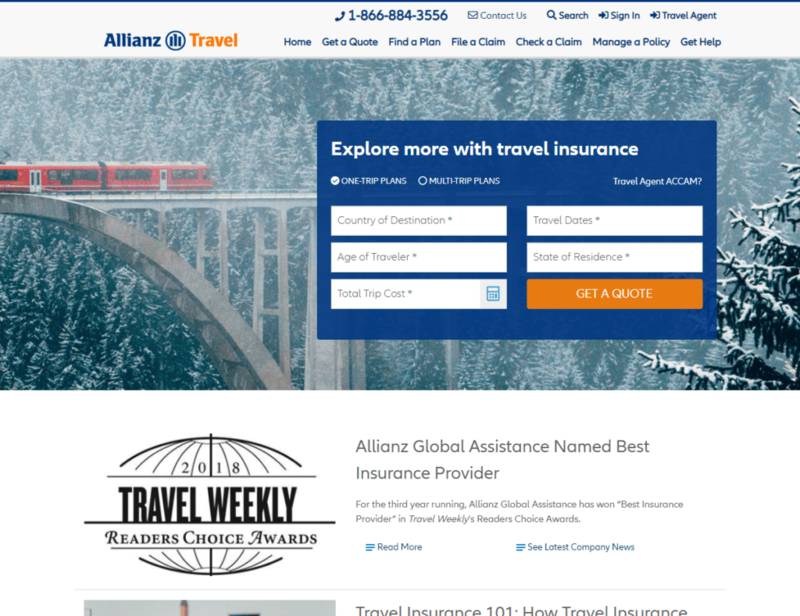 To make things easier for clients, Allianz Global has an extensive video library where you can find instructional videos that provide information on their services, guide travelers how to choose the right coverage, and walk clients through the process of buying and claiming insurance. If you’ve already purchased insurance from Allianz, you can download the Travel Smart App which is a helpful tool that you can use alongside your coverage. This mobile application gives you information on your policy, lets you start off the insurance claim process, gives you access to 24/7 customer services, and provides information on your flight updates. Aside from all that, the dedicated application also contains information on the specific country you’re in, including emergency numbers for the police station, fire department, and medical assistance. In case of a medical emergency, the app also has a nifty list of translated phrases you can use to talk to first responders and report what happened. 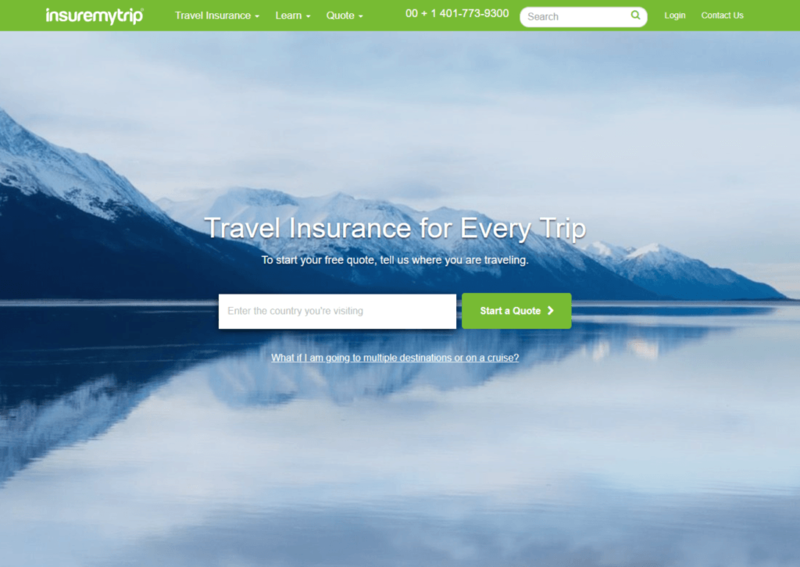 While it isn’t exactly an insurance provider, InsureMyTrip is a reliable online resource that you can visit to compare rates on the most affordable policies that you can find. Their website lets you sift through hundreds of different insurance providers and the coverage they offer so you can see all of the available options in one comprehensive site. What’s great about the InsureMyTrip website is that they also offer a variety of other resources that make it a traveler’s ultimate guide to safe journeys. On the site, you’ll find a questionnaire to help you determine the kinds of coverage you need, as well as how-to guides that teach readers how to file a claim among other insurance-related topics. Perhaps the most impressive feature that InsureMyTrip offers is its impeccable customer service. Available 24/7, their friendly representatives are always ready to address any questions, concerns, or inquiries that clients might have. Accessible and reliable, you can be sure there will always be someone waiting to take your call should you find the reason to reach out while you’re out on a trip. Traveling without travel insurance is like taking a deep-sea dive without an oxygen tank. There’s no way to know what’s out there, and going in unprepared almost always guarantees an accident. While you might be excited to see and experience a completely new culture, it helps to make sure that you’ve done everything you can to prevent any unforeseen events. The last thing you’d want, after all, would be to be lost in a foreign land without the right coverage. If you’re prepping to fly off into your next adventure, make sure you toss insurance into the mix. Check out these top websites to find the best coverage for your trip so you can enjoy a worry-free experience abroad.